Last month, Huawei founder Ren Zhengfei said in an interview that despite being branded as a national security threat by U.S. lawmakers, Huawei devices do not spy for the Chinese government. Of course, that was followed by the U.S. indicting the company, its CFO and two related firms on 13 charges related to bank fraud. The suit alleges that Huawei defrauded global banks to cover up its business with Iran, a country under U.S. economic sanctions. Perhaps more interesting was a separate indictment that charged Huawei from stealing tech secrets from T-Mobile. T-Mobile originally won $4.8 million in a civil suit from Huawei after a jury found that the latter had stolen parts and technology from the carrier's "Tappy." This was a robot used by T-Mobile to test handsets. Now, the U.S. is going after Huawei in a criminal suit for the same deeds that the civil jury already said Huawei was guilty of committing. What makes this interesting is that these actions are similar to the feared ones that make the company a national security threat in the states. 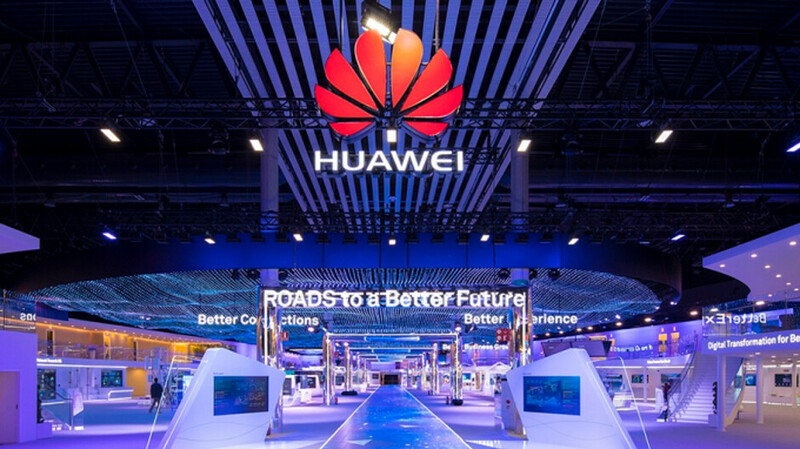 Canadian newspaper Globe and Mail (via Mobile Syrup) was recently invited to Huawei's headquarters in Shenzen to speak to the company's chairman Liang Hua. As you might imagine, Liang said that "Technological divisions based on different ideologies or viewpoints would not be beneficial for humanity, nor for technological progress." He added that the company would "never do anything to harm any country, any organization or any individual." T-Mobile CEO John Legere might not agree with that statement. Even though the executive denied that Huawei provides information to the Chinese government, the company is required by domestic law to help the country in intelligence matters. Additionally, all telecom companies in China are supposed to give encryption tools to Chinese security officials. Worried about Huawei possibly being a conduit for the communist Chinese government, the U.S. has warned its allies, including Canada, not to use Huawei networking equipment for 5G networks. The U.S. government reportedly put the kibosh on Huawei deals last year to sell the Mate 10 Pro through U.S. carriers Verizon and AT&T. Even though Huawei does not have any deal with a major U.S. carrier, it is the second largest phone manufacturer in the world and expects to be number one by next year. It also is the largest global supplier of networking equipment. Ah, ok then. I am relieved. If he said that, it is surely true. Who told you they steal others Intel? They have the best 5G technology in the world. If anything it would be other countries trying to steal intel from huawei. Intel could mean Intellectual Property. And yes they were caught stealing that from T-Mobile. Ok, not yet but 99.99% in the future you will. They already did. Why need to wait for the future?! Bennifit of a doubt of .01%? Just follow the due process and prove your side, Huawei. If you're not doing shady things, you don't have to worry a bit. If U.S. is wrong, It will be a good publicity to your company. "HUAWEI WINS CASE OVER U.S. ALLEGATIONS, COUNTRIES REVIEW RE-INVESTING WITH COMPANY'S EQUIPMENTS" Good headline right, Huawei? Yes, because US court system is reliable and not overly patriotic. Haha!! One can definitly not expect a fair trial in US. @Charlie2k The pot calling kettle black. You try having fair trial in china, media will be blocked, whitewash/edited info will be revealed to the people. ALL government do it but different in style. Fan Bing Bing case, she went hiding because she know the government will not show mercy to her. All I'm saying is, huawei play the game, do the dance and see if they can get away with it. If they didn't do anything they don't need to get anxiety with a small court visit. As if that would happen in US court. That's like saying there's a chance for Apple suing a Chinese company and winning in a Chinese court. @Aruminiumaian True, but at least huawei can have the international media spread all over the U.S. court during trial and turn the victim table if U.S. screw a little. In china, you don't stand a chance, everything is owned by the government so the chinese decide if you're guilty or not. The US should be following due process, like with the Tappy robot US law specialists have said that is a civil matter which has already been settled and under US law they cannot be accused again, but once again the US Gov is twisting laws to suit it's own agenda. What it all boils down to is that the US is terrified of China's 5G capabilities, it's superior to US 5G in every way, because the US cannot compete they try every dirty trick in the book to stop them. Boy, you really don't get tired of that "U.S. don't want Huawei to become no. 1 in business" bs, do you? You always repeat that mootu, why don't you remove your chinese tin foil hat for a minute? "Boy, you really don't get tired of that "U.S. don't want Huawei to become no. 1 in business" bs, do you? You always repeat that mootu, why don't you remove your chinese tin foil hat for a minute?" Where did i mention business? And trust me i'm as far from Chinese as you can get, just someone with a big interest in security for the last 20 years. US has 0 5G capabilities, why should it be threatened by a company that is in no way a competitor for a US company? The networks are being made by Nokia, Ericsson, Samsung (with a little help from Cisco). It's the brand battle. They know that publicity will mix together all Huawei's businesses. You can see it in this article too. No because they cannot and US has to make up excuses for keeping Huawei out. And US market is just one part of global game. I don't know why they don't sell and I don't care; the fact is Huawei is not a competitor in USA for any US company. Well Huawei is pretty shady. Not as shady as your profile name. American capitalism protecting their interests. Huawei is the largest communications network installer in the world. And the US does not want that power in the hands of the Chinese. Exactly. That's something Huawei defenders keep missing. Yes. But that still doesnt proof huawei is guilty.